Is Your eCommerce Website Ready For Santa's Last Minute Christmas Shopping? 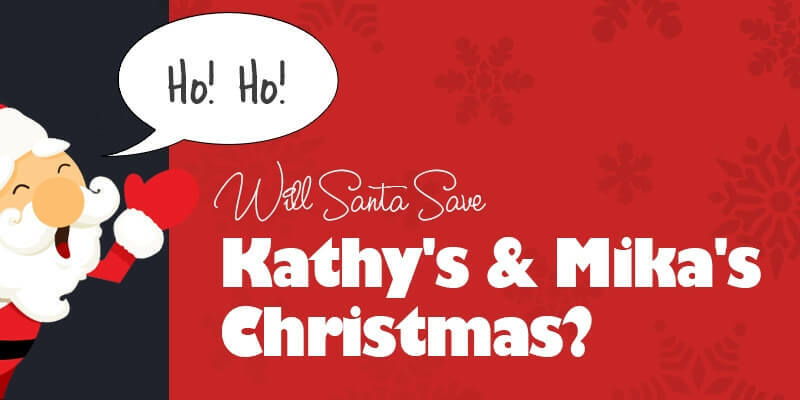 Will Santa Save Kathy’s & Mika’s Christmas? It’s the last week of Christmas and Santa just remembered that he’s forgot to buy gifts for Kathy and Mika. With the idea of shopping online, he quickly opens your eCommerce website to complete his last minute shopping. Kathy and Mika are so excited about their Christmas gifts. Did you disappoint Santa with your website? If so, you could be ruining Kathy’s and Mika’s christmas, this year. The Commerce Shop offers extensive maintenance and support plans exclusively for the holidays to save your website from downtimes and other last minute unpleasant surprises.